Did you know that today is National Farmer’s Day? National Farmer’s Day is celebrated every year on October 12th as a day to honor farmers all over America. Since the beginning of American culture, we have depended on farmers to produce the majority of the food we eat, and it is fitting that this holiday is celebrated in October, as it is near the end of the harvest season. We’re so excited to interview you for National Farmer’s Day! Can you tell us more about your agriculture background and your farming experiences? I grew up in a relatively urban area just north of Boston where my family always had a vegetable garden, raised animals for meat, and my dad was a great hunter-gatherer. We ate a lot of wild game, seafood, and native mushrooms, fostering an interest in food systems from an early age. I'm from an area where raising and hunting your own food was not the norm, so our family's food culture always stuck out to me as unique, even as a child. At 18 years old, I was more interested in experiencing the world outside of New England than attending college and had always dreamed of living in the Outback. I come from a place and a family where the idea of a "gap year" was unheard of and there was no discretionary fund for travel. Thus, the agreement I worked out with my parents was that if I were to travel overseas, I had to have a job that came with housing and I was responsible for funding my trip and my time away. I was lucky in finding a family-owned cattle station that agreed to take me on as an apprentice. The station I worked and lived at was comprised of 250,000 acres of diverse wilderness and pasture land and my time there instilled in me a love of both agriculture and open spaces, ultimately contributing to my decision to attend the University of Wyoming.  After college, I returned to the Boston area and in 2008 was hired by The Food Project — a Boston based organization that works at the intersection of youth, food, and community; using sustainable agriculture as a vehicle for social change. I worked at The Food Project for 5 years and, during this time, I co-authored and published the book The Year-Round Harvest: A Guide to Seasonal Growing, Eating and Preserving the Fruits and Vegetables of Your Labor. I also met my now husband, Bart, while he was working for his family's vegetable and flower farm, Canaan Farm. After helping out at Canaan Farm part-time for years, I took a leap and left The Food Project to work full time with Bart and his family. At Canaan, I helped to manage the vegetable and flower fields as well as the nursery operation and on-site farm stand. In 2013, Bart and I accepted an offer to co-manage the organic and biodynamic farm at Pu'u O Hoku Ranch on the island of Molokai in Hawaii. 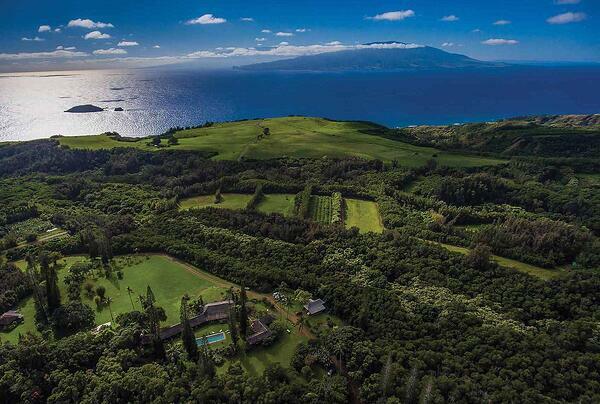 Pu'u O Hoku is a 14,000-acre ranch and the farm is comprised of 30 non-contiguous acres of diverse fruit, vegetables, and awa (kava) integrated with pasture-raised cattle. My experiences at both Canaan Farm and Pu'u O Hoku Ranch introduced me to the business management aspect of agriculture — an area that I realized could be a powerful catalyst for producing sustainable and equitable agricultural practices. With this idea in mind, I began graduate school in 2015 at the Bainbridge Graduate Institute (now Presidio Graduate School) and graduated in 2017 with an MBA in Sustainable Systems. Last year, my husband began a doctorate program at UCSB, which led us to Santa Barbara and led me to Good Land Organics. GLO grows a diverse array of exotic fruit, including caviar limes, passion fruit, dragon fruit, and coffee. What started as a small, experimental coffee program has blossomed into our parent corporation, Frinj Coffee, Inc, and Good Land Organics is now our headquarters and corporate farm. I like to say that GLO is the hub and the heart of Frinj. 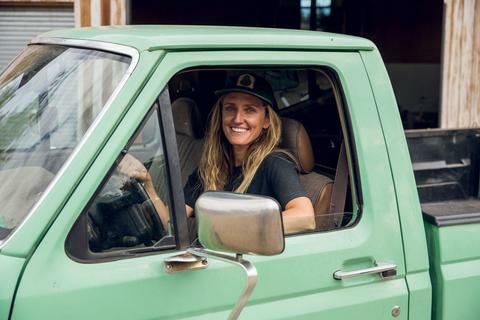 As the General Manager & Director of Operations, what do you do at Good Land Organics? I manage the farm and business operations. This includes anything from post-harvest processing for coffee and crew management to fruit sales and shipping logistics. What is the best experience you've had while in the industry? While Bart and I managed the farm at Pu'u O Hoku, it was really important to us that we focus on feeding the island as well as ensuring profitability. Molokai is an island with significant food insecurity, despite the dominance of the agriculture industry. Most of the food grown is shipped off-island to tourism meccas like Maui and Honolulu where there are more markets and higher price points. Bart and I were able to establish various points of sale on Molokai that allowed us to keep a significant amount of our produce on the island while maintaining profitability for the farm. It was very affirming to learn we could be both community focused and profitable. What is your favorite type of fruit and why? My favorite fruit to eat is dragon fruit because it tastes great and makes me feel great. 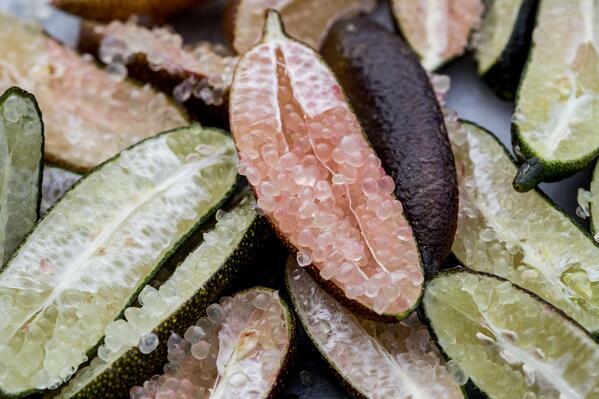 My favorite fruit to sell is caviar limes because, not only are they a fun and exciting fruit, but they hold well on our trees (as long as it's not too windy), and thanks to Apeel, have a shelf life that makes them manageable to store and ship. The New Englander in me will always have a love for growing all sorts of vegetables and flowers. What advice do you have for anyone who is looking to go into the agriculture industry? Work on a farm for at least a season, even if you don't want to be a farmer.